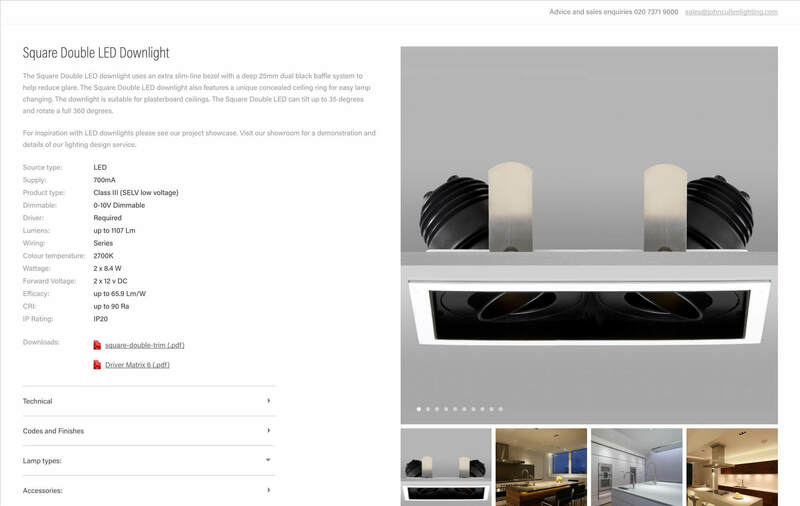 John Cullen Lighting are at the very forefront of both lighting design and lighting product innovation. 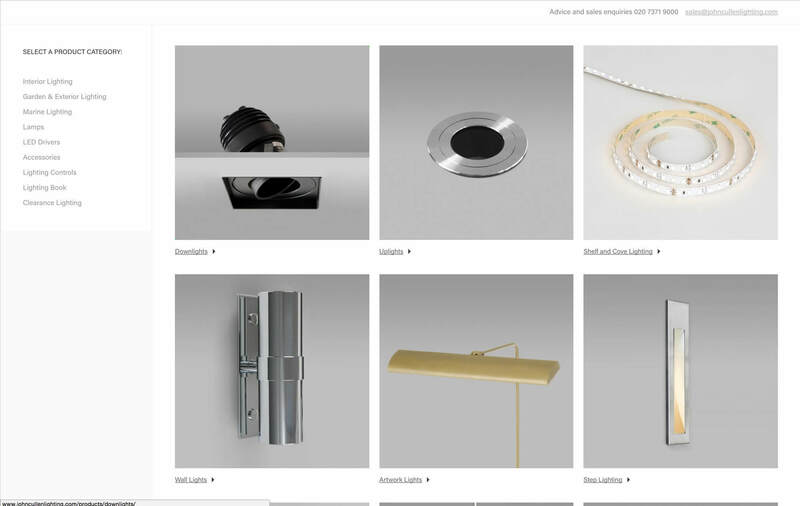 Their unique products are used by interior designers, architects and private clients and the John Cullen design team, led by Design Director Sally Storey, works on projects around the globe. 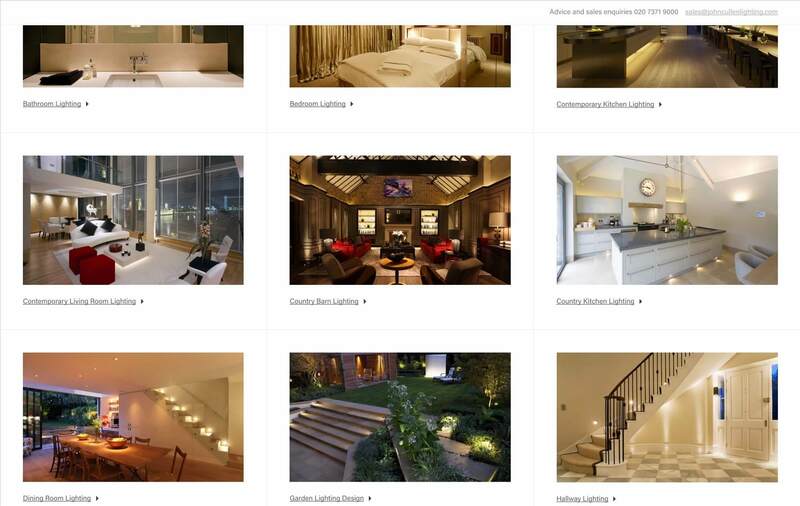 We have designed and produced both the current and previous generations of their website and, in addition, created mood photography to demonstrate the various lighting effects achieved by their designs which is utilised as a feature on the home page. 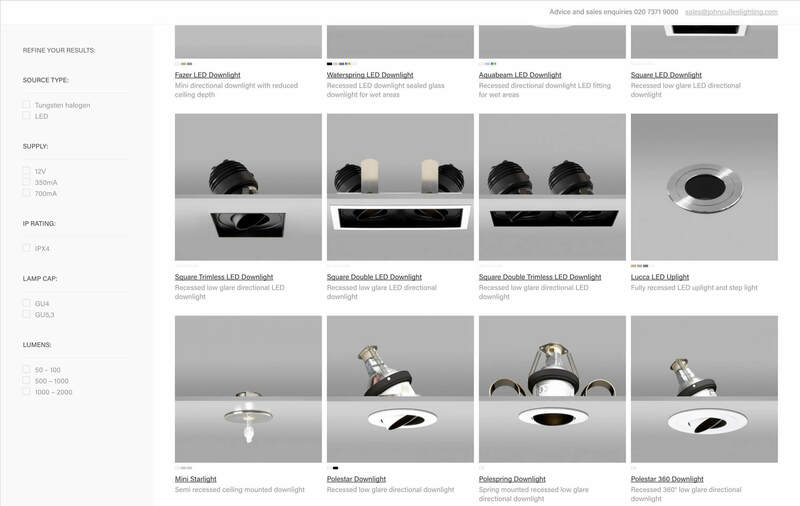 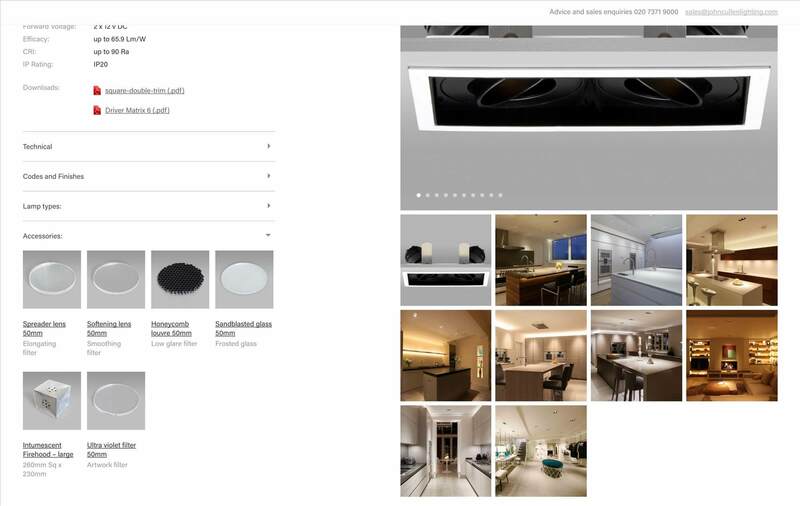 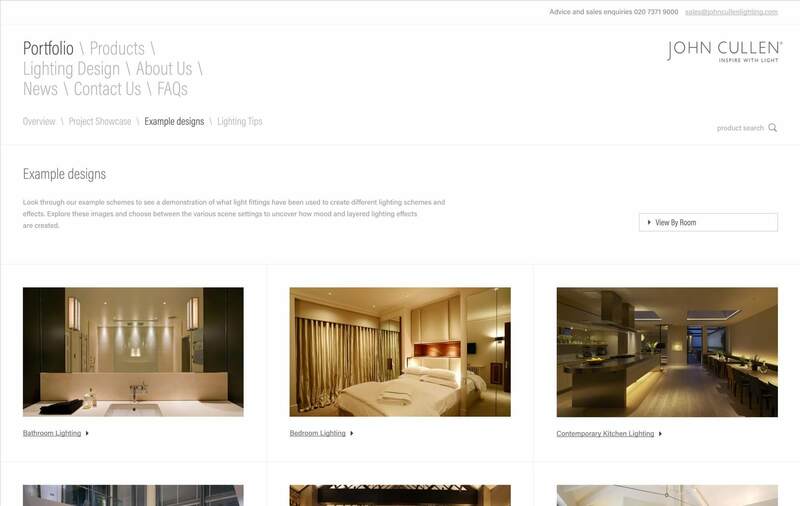 We developed a versatile product database for the site so that visitors can browse, filter and tailor their selection to specific types of lighting based on varied and complex requirements. 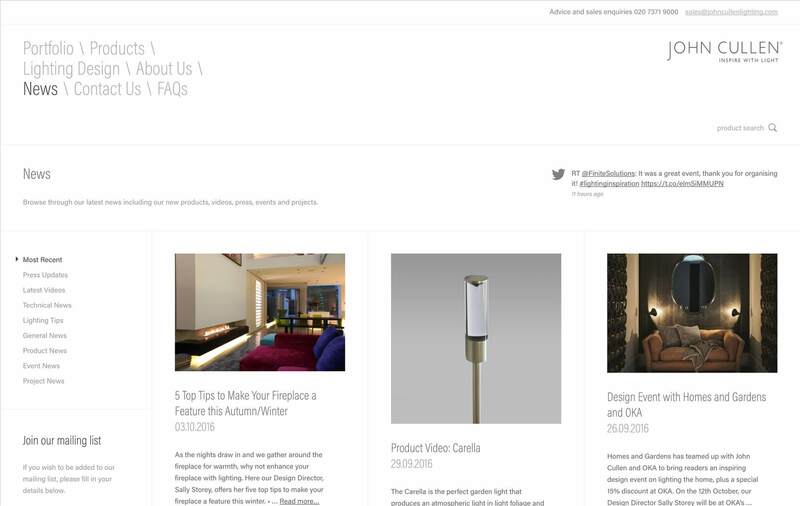 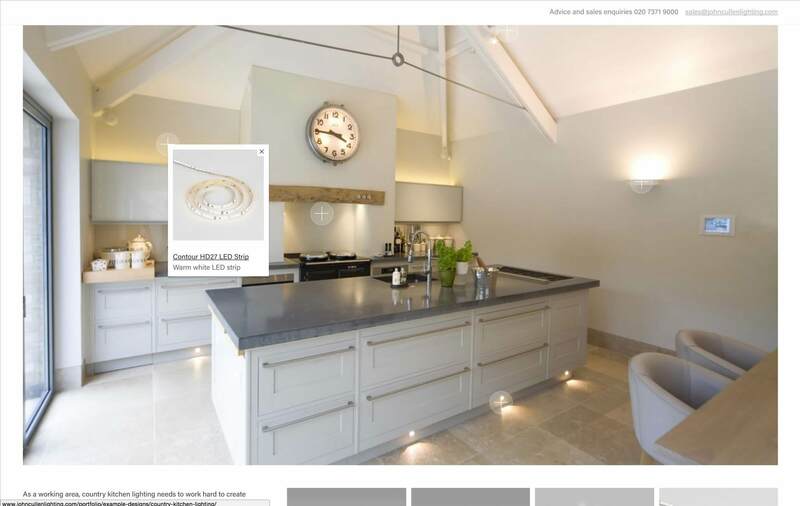 The site incorporates a range of interesting and innovative features from extensive galleries of completed projects, through to interactive example lighting schemes, lighting design tips, news and much more.